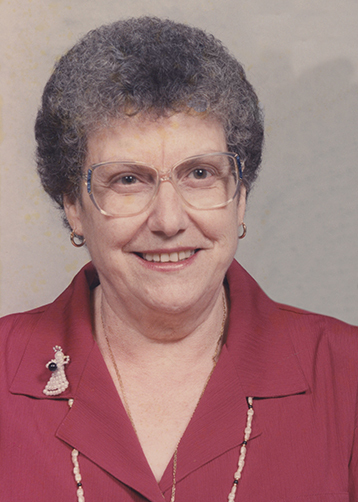 Maria Salsone Cucuzza Madaffri, 87, of Beaumont, died Friday, March 29, 2019, at The Oaks of Beaumont. She was born on February 15, 1932, to Pasqualina Condina Salsone and Antonio Salsone, in Tresilico, Calabria, Italy. She adored cooking for her family. Maria was past President of the Italian American Society of Beaumont and was part of Italian Piazza constructed in Beaumont. Maria was an active member of the Church of Jesus Christ and was also an avid animal lover. Survivors include her son, Jesse V. Madaffri of Beaumont; daughters, Darlene Tydlacka and her husband, Doug, of Fannett and Patricia Stelly and her fiancé, Don Morgan, of Lumberton; step-daughter, Jean Kurdas of Florida; granddaughter, Emma Madaffri; grandsons, Dillon Tydlacka and Christopher Stelly and his wife, Cortney; brother-in-law, James “Jimmy” Madaffri and his wife, Marilyn; sister-in-law, Mary Lou “LuLu” Madaffri; nephew and niece, Alfonso and Rosa Salsone, both of Reggio Calabria, Italy; and numerous nieces and nephews in Texas, Florida, and California. She is preceded in death by her first husband, Anthony Cucuzza and late husband, Jesse Madaffri; parents; and brothers and sisters-in-law. A gathering of Mrs. Madaffri’s family and friends will be from 6:00 p.m. until 8:00 p.m., Friday, April 5, 2019, at Broussard’s, 1605 North Major Drive, Beaumont. Her funeral service will be at 1:00 p.m., Saturday, April 6, 2019, at Broussard’s, with interment to follow at Magnolia Cemetery, Beaumont. Memorial contributions may be made to the American Cancer Society, 4 Bayou Brandt Drive, Suite B, Beaumont, Texas 77706; or The Humane Society of Southeast Texas, P.O. Box 1629, Beaumont, Texas 77704. Sis.Maria will always be special to Jerry and I. We loved her from the very first time we met. We never left her home hungry, both naturally and ohysically. We love you and will miss you. Thinking of you and your Family Patty as ya'll mourn the loss of your mother, Praying for healing and comfort in Jesus Name Sister... Love you, lots of Hugs!! Patty, I am so very sorry for your loss. My thoughts and prayers will be with you and your family. Darlene, continued prayers for strength and comfort during this difficult time. I pray that precious memories will be a source of joy and comfort to you and your family in the days ahead. I am so sorry for your loss and my prayers go out to each of you. Your mom was like my second mom and a best friend to me. She had good advice, loved God and Jesus without measure and loved to laugh and sing. When we first met, she told me that she was a very good artist. I was impressed. Since I live in the Houston area, I would send her cards with drawings trying to get across to her what the words meant. After a few drawings, she called me and wanted to know why I was trying to take away her job. I was confused as to what she was referring to and she began to laugh She only drew stick figures.. She said that I draw much better than she does and that I was stealing her business. We laughed and laughed over that. When my husband was very sick and needed complete quiet., she and I would talk and laugh quietly and we prayed and sang together bad and good times. When I was translating Pascuale's book for her, she would encourage me and cry tears of joy as I would read it to her. She would describe in detail the things in Italy that Pascuale had written about. She was such a special woman who made it through so many difficulties with strength and dependence upon God. I thank God for bringing her and her family into my life. Many prayers for Patty, Darlene, Jesse, and the grandchildren. May God's peace blanket you all in comfort now. May your sweet memories carry you through this time of sorrow. I am sorry for the loss of your mother Darlene. Continued prayers for you and your family for comfort and peace.